Dianne Woods spent years filling volunteer and leadership roles in Manitoba's hockey community Starting with the St. James-Assiniboia Minor Hockey Association, her work helped pioneer the establishment and development of a female hockey program in Manitoba. 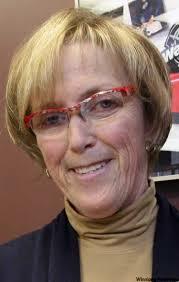 In the mid-1990's she joined the executive of the St. James Canadians of the Manitoba Junior Hockey League eventually becoming one of the few female presidents of a junior hockey club anywhere in Canada. Dianne served as the manager for Team Manitoba at the 1995 Canada Winter Games. She was a key member of the Host Committees for the 1999 World Junior Hockey Championship and the Western Canadian Bantam Championship in 2007. Dianne's dedication to the game of hockey was to ensure all players have a place to play where they would be able to develop and grow as a player and a person. For the last sixteen years of her life, served as the Executive Director of Hockey Winnipeg establishing a player assistance fund to help young people play the game. Commenting on a Winnipeg Minor Hockey event, "It's about being a life sport, life friends, all good things that sport is trying to convey to kids. Whether it's hockey or ringette or whatever, it's to enjoy teammates and camaraderie, learning to share and enjoy the experiences. The big thing is today is not attached to competition, it's more attached to just enjoyment."